It’s never fun having a sinus infection on the road. As my father-in-law informed me (he is also a pro-sinus infection sufferer) the flight may be a killer. 4 hours from IND to PHX… great. Man, was it unpleasant descending into Phoenix yesterday afternoon. Phoenix is great, beautiful, just how I left it. It is strange but this city and particularly this airport is like a 3rd or 4th home. After coming here twice a year for 5 years, we sort of know our way around. However, the 70 degree temperatures in February will always come as a welcomed surprise. It was lovely walking around in my Pennsylvania Ballet t-shirt today (from the Nutcracker that I attended over Christmas holiday). We are preparing for 2200 educators tomorrow! After set up day at the convention center, I walked over to the CVS here in downtown Phoenix. Luckily, my Dr’s office could call in a prescription for me since I am a repeat sinus infection patient. 🙂 Oh, the perks… totally kidding. With my hair up in a bun, since we were doing some heavy lifting and intense set up preparation today, the pharmacist asked me a question that caught me off guard. After realizing my hair-do and the aforementioned t-shirt, I realized why. “Yes.” I was so excited about my prescription (I guess) and was so surprised by that question. I can’t believe I lied! I didn’t mean to and I certainly love to think of myself as a dancer but my 15 years of Nancy Mulford Ballet Studio is well behind me unfortunately. Although I do own Ballet shoes and occasionally work out to the NYC Ballet DVD featuring my favorite SJP. But seriously, I am not a dancer. And so have you ever accidentally lied to a stranger and just had to go with it? “Where are you performing?” asked the beautiful redhead behind the Phoenix CVS counter. I could have said, the theater down the street but I just casually mentioned, “Oh, I am traveling for work, totally separate from my dancing.” What a dork I am, I know you know this. So as I fluttered and pirouetted home, to the Hyatt Regency, I was laughing so hard I had to call Mom just to tell her. 5:30 AM start tomorrow as we welcome 22oo educators to our Summit. 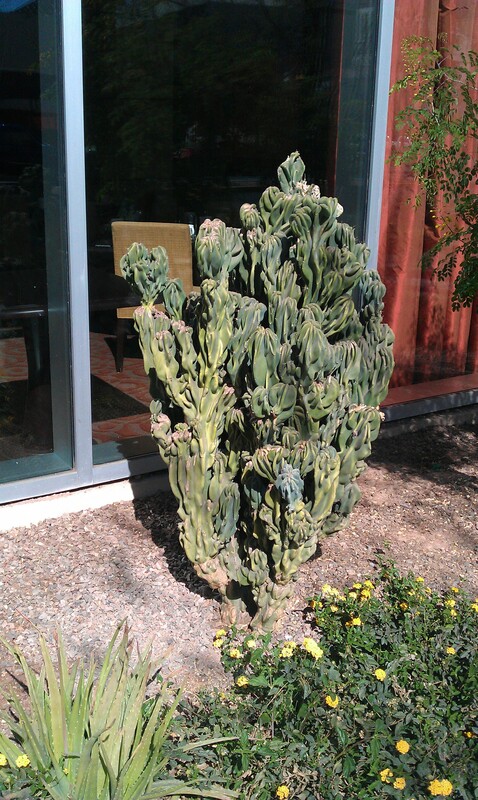 I love Phoenix and the killer cacti.